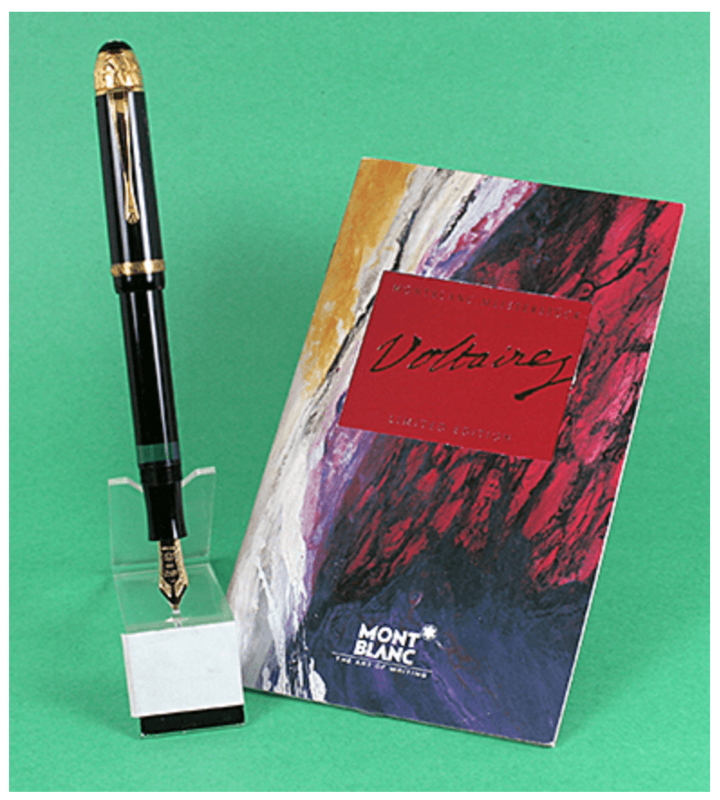 This is a 1995 Montblanc Voltaire piston-filler, limited edition with number #02265/2000 in Black. Vermeil (GP on Sterling Silver) trim, including the chased cap band and cap-top. Visualated barrel. 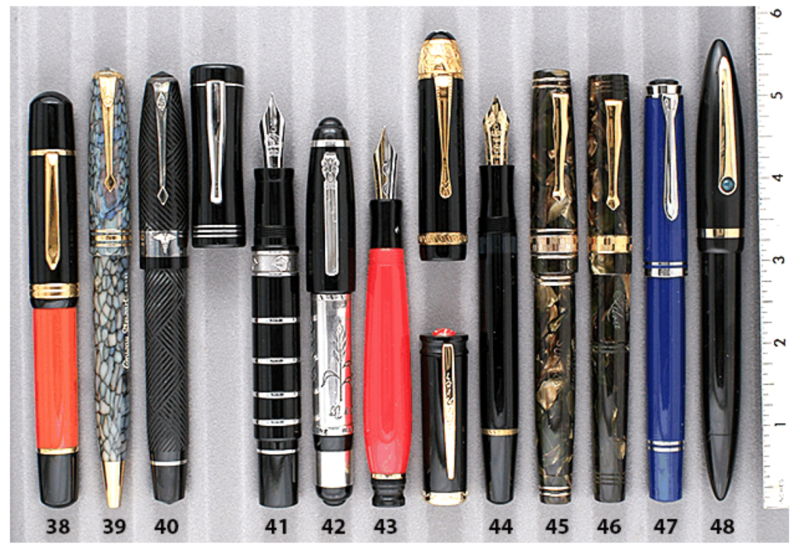 Double-broad 18K nib. New-old-stock. Mint with booklet. UPDATE: SOLD. Item #44 in Catalog #85.